Speed has always excited a man and in its pursuit, he has gone to every length. Car manufacturers, tuners and car enthusiasts, since the birth of the automobile industry, have been competing with each other to make the fastest car. How do they do it? It all boils down to horsepower. The more horsepower you have in your vehicle the faster it will be. Nowadays, motorheads are jostling their minds and putting their heart and soul to achieve more horsepower. Through their efforts, we have seen 1000+ hp cars and even 2000+ hp cars on the street. However, adding horsepower is not like adding sugar to a cup of tea. It is a meticulous process that requires precise mechanical knowledge, hence not everybody can do it. No worries though, we are here to help you out by giving some tips on how to add more horsepower to your vehicle. This method will not give you more horsepower but will make your car faster. You can reduce the weight either by removing parts inside of your car that you do not need, or you can replace parts with carbon fiber etc, which is often very expensive though! 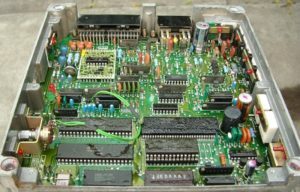 Tuning your engine control unit is most likely the cheapest way to get a lot of horsepower and torque if you have a modern car. Especially if you have a turbo car, you can often gain up to 50 horsepower or more with a simple change in the software. If you have a non-turbo car, you can expect a gain of 10-20 horsepowers. The cost of a tune is between 300-600$ for a good one which will deliver results. Contact your closest tuning-shop! Usually, your car’s stock engine is not that powerful. But of course, that is why you want to increase horsepower! One solution is to go for a bigger displacement engine. Generally, a higher displacement engine would give you more horsepower. Larger cylinders will burn more fuel, breathe in more air and produce more energy. However, this method is only successful if you have the time and money for conversion. Other than that, you also need the right expertise and mindset to go forward with the conversion. The size of your car’s engine bay should also be considered since not every engine will fit in your car. This method is time-consuming but the most rewarding since you will get a naturally-aspirated engine that is powerful and fuel efficient. An engine requires the perfect mixture of fuel and air for optimal performance. If you are able to make the engine burn and discharge fuel faster, you can achieve higher horsepower. One way, car enthusiasts do this, is by adding a turbocharger or a supercharger. A turbo is a small component that can be fitted to an engine. This snail type equipment spools air and sends it through to the air intake. The engine receives this air in large quantities which speeds up combustion. A supercharger performs the same function but it differs in design. A turbo or supercharger can add from 40 to 60 up to the system at peak output. However, the amount of hp you can increase depends on the boost or psi rating a turbo gives out. Remember that you do often have to modify the ignition and fuel system when adding a turbo or supercharger! Turbos are a good way to increase horsepower but adding a turbo to your engine can be a costly affair. To counter that, motorheads came up with a cheap alternative that produced the same effect. The result was cold air intakes. The science behind the idea is that cold air intakes send cool air into the combustion chamber which is dense. As we mentioned before, more air in the system will cause faster combustion. Turbos have the same effect; however cold air intakes are very cheap and they can give you that much needed initial boost. Of course, if you decide to be more serious about horsepower then you would eventually have to get a turbo or a supercharger. You can expect a horsepower gain of 5-20 hp from this modification. 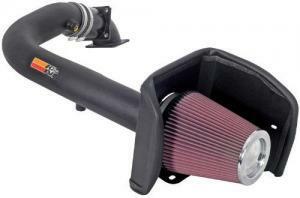 You can find the best cold air intake kits to buy in this guide. It might come as a surprise, but the exhaust of your vehicle can determine the amount of horsepower your car produces. This is why performance vehicles have a cat-back exhaust system. 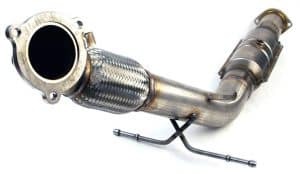 A cat-back exhaust is just like any other exhaust with the exception that in a cat-back the piping after the catalytic converter is straight. The straight pipes from the cat to the tip let out the exhaust air quicker. The faster this air leaves the engine the faster the engine can make space to send out more. This entire system reduces the pressure build-up in the combustion chamber and that leads to more horsepower as well as better performance. You can expect a horsepower gain of 10-20 horsepower from this mod, depending on the engine. Catalytic converters were introduced to reduce the harmful effects caused by vehicular emissions. The earlier iterations of cat converters were very restrictive. In other words, it was very hard for exhaust gases to leave the system. This phenomenon led to a reduction in performance. Naturally, motorheads developed a grudge against cat-converters. Nothing could be done about it since a catalytic converter was and is required by law. Fortunately, engineers came out with better cat-converters which did not restrict the flow of exhaust gases. In came high-flow cat-converters. If you have a vintage car that has an older version of a catalytic converter you can replace it with a modern free-flowing cat converter. This way you will be able to find the lost horsepower of your car. 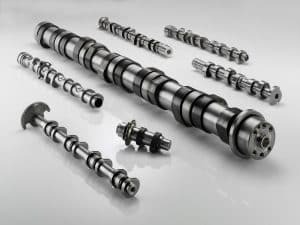 A camshaft performs a very basic but important function in a car’s engine. The camshaft’s movements cause the valves to open and close at the precise time. If you install bigger cams or if you go for a lifted cam setup you could achieve more horsepower. How? Well, the answer is simple. Bigger cams or lifted cams will keep the valves open for longer. The longer the engine valves are open the more fuel and air will enter the combustion cylinder and that will result in higher output. More horsepower but at a cost. Replacing cams could result in a poor fuel economy or actually reduce performance if not installed properly. Installing cams is no easy task since a lot of things have to be taken into consideration such as gear ratio and compression ratio. There are plenty of other crazy ways to increase horsepower. Tuners have gone to unbelievable lengths just to get a higher horsepower rating. Their ideas range from adding twin turbos to larger air intakes to performance forged pistons. There is literally nothing stopping you as long as you have deep pockets. The methods we have discussed, however, are practical and within everyone’s reach. You don’t need to be a die-hard car enthusiast to apply any one of them to your car. Choose what you want to go with and don’t look back.